Why is Obama so determined to make allies of Iran and the ‘state’ of Palestine? This question has plagued the American Congress, Israel’s Likud Party (namely, Benjamin Netanyahu) and most sensible Americans. Sage President George W. Bush made it abundantly clear that Iran was a member of the Axis of Evil, a conglomerate of anti-capitalist nations whose end goal is always to destroy Jesus and reign in a new era of Liberal Darkness. Despite this fact, Obama stands in defiance of President Bush, Prime Minister Benjamin Netanyahu and America. At every turn we see Obama making concessions to gay marriage, trying to help Palestine illegally take land that rightfully belongs to Israel and even more shocking trying to give Iran a path to nuclear power. Let’s reflect on those words. He shall make peace with the enemy, tricking us all into a sense of security, but then destruction shall come to us. Think about it. In 2008, Obama extended the ‘olive branch of peace’ to Iran and other regional terrorists when taking over. He wanted to start with a ‘clean slate’ and let bygones be bygones. Obama claimed to be standing in the light of peace. But now look at the Middle East. ISIS runs rampant, bringing destruction to innocent people in Iraq who were safe under President Bush. Christians are being persecuted and Obama refuses to send America’s army back. It gets even worse. 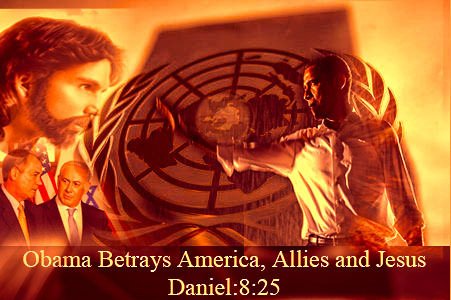 Today Matt Drudge broke the news that Obama is conspiring with the United Nations, the ‘One World Government’, to betray Benjamin’s Netanyahu’s policy against a Palestine state. Not only is it disrespectful for a foreign leader to plot against a sovereign, elected leader (the day after he was elected back to office, no less), but it is dangerous. Obama loves to think of himself as the Great Savior of America. He has convinced millions that he is on a mission of peace and prosperity, when in reality he’s simply plotting to destroy Jesus and rule in a new age of Liberal Darkness. In Obama’s world, he will have absolute rule over the UN. The armies of Xerxes shall again march through the Middle East to Europe, taking out any signs of Judeo-Christianism. Obama would smile on with delight as they smashed churches and synagogues on their way to once again terrorize Europe, a scary reality not seen since the Moor invasion. 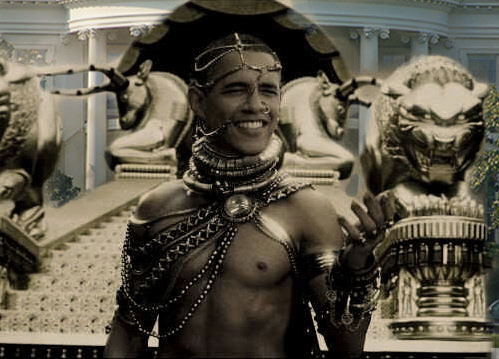 Now here’s the Big Reveal my friends: Obama is a modern Kush Pharaoh of Egypt. His powers are the same as those of his ancient bloodlines and he is seeking to start a new age of liberal darkness. In the age of ancient Egypt, there once arose a group of powerful pharaohs who wielded ‘supernatural’ powers. When visiting Egypt, Obama looked upon a Kush artifact and said, “He looks just like me”. That Pharaoh etched into the stone was none other than Obama’s ancient ancestor. The Kush Pharaohs were known to ‘reward the poor’ and punish the rich with expensive taxes. The Kush Pharaohs thought it was great that men wore make-up and laid with other men, they allowed gay marriage. The Kush Pharaohs had no problem with illegal Mexicans [sic] Asyrians sneaking into their lands. Does this all sound familiar?